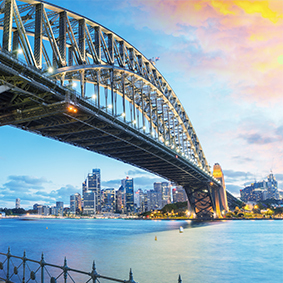 This is a perfect mix for those looking for a relaxing break coupled with a lively city trip. 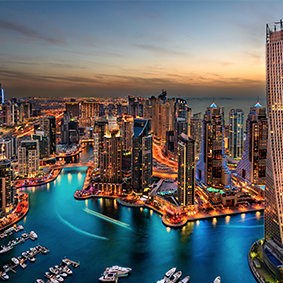 Dubai is a place with so many things to do whether it’s the sands of Jumeriah beach, the amazing water parks or the new nightclub at the Armani Hotel – Dubai has the lot! 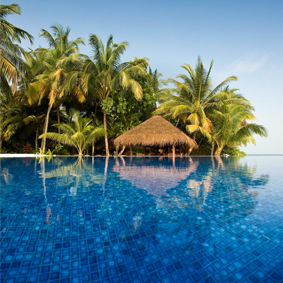 The Maldives is a paradise island dream, with secluded islands scattered like jewels across the ocean, each enveloped by a crystal clear water and diamond-white sands. 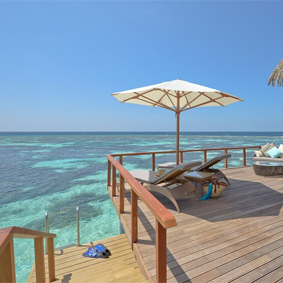 The Maldives is the dream holiday for those looking for secluded luxury that you will never want to relinquish. Many of the resorts feature fabulous beach and pools villas and extravagant water villas for those looking for something a bit special. Kuredu is one of the finest luxury hotels in the Maldives and when you get there you’ll immediately understand why. Blessed with breath-taking natural beauty, this island resort is nestled among lush tropical foliage overlooking milk-white shores lapped by crystalline lagoon waters populated by a variety of colourful marine life. If that wasn’t enough, the resort offers exquisite accommodation in the form of Beach Bungalows and Beach, Water and Pool Villas. There is also a lavish spa facility, top-notch wining and dining venues – including a well-stocked wine cellar – and a plethora of things to see and do, ensuring you will never have a moment of boredom on this paradise-like island. 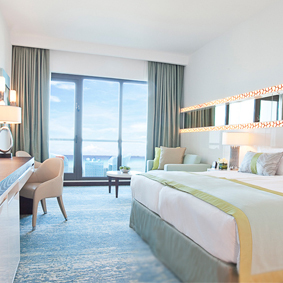 Situated on The Walk in Jumeirah Beach Residence, the JA Ocean View Hotel offers easy access to the varied attractions of this illustrious promenade but is also just a short stroll from the local public beach and the city’s latest retail and entertainment complex. 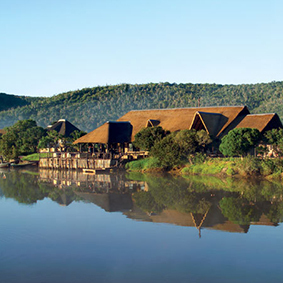 Providing a range of luxury amenities such as free WiFi and delicious international dining, this hotel is also home to kids clubs and children’s facilities, not to mention the aptly named Calm Spa and Salon – perfect for an indulgent pampering session while the kids are being entertained. Imagine spending your luxury holiday suspended over turquoise waters or perched on a white sandy beach in a private villa. 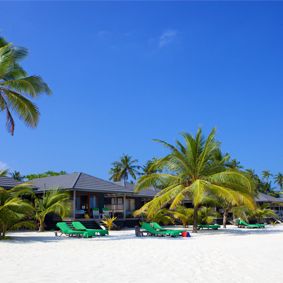 Kuramathi Maldives is the perfect beach holiday where you can relax and unwind or enjoy various water activities. Located in the North Ari Atoll, Kuramathi is a breathtaking 20-minute seaplane journey from Malé International Airport. Kuramathi offers a range of sublime villas and residences, with the upmost space and intimate living, allowing you to feel as though you have the entire Island to yourself. Guests on the a la carte all inclusive can indulge in culinary delights from its nine à la carte restaurants. 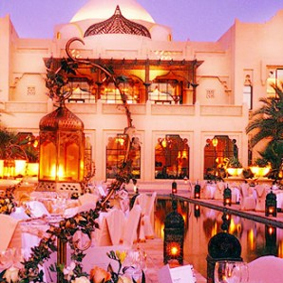 Inspired by traditional Arabian culture, the stylish resort is connected to the One&Only Royal Mirage Complex. 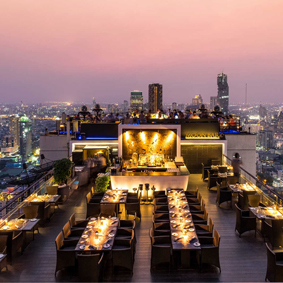 Prepared to be in awe of the fabulous architecture and mouthwatering international cuisine. Styled and designed with the influence of Arabia you can expect plush furniture and a ultra modern feel to your Superior Deluxe Room. Spend a night on the spacious balcony, which is an extra touch of class and is a perfect way to spend an evening with your partner. 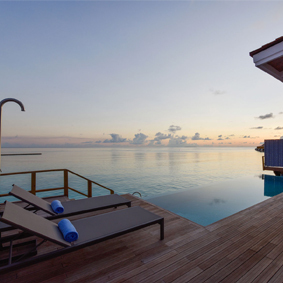 This picture-perfect island in the most luxurious of holiday destinations, the Maldives, really is a true rarity. 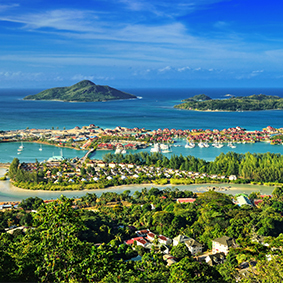 Measuring just 200m by 150m, this is exquisite island is one of the most exclusive you’ll find anywhere. Although Kandolhu Island is one of the most intimate and smaller islands you will find there is still a wealth of activities to keep you entertained during your stay. With one of the Maldives’ and the world’s best reefs, Kandolhu is a great destination for diving lover. The trained experts at the island’s dive school offer PADI certified courses and can advise you on the best scuba and snorkelling spots to explore the underwater world. For an island of such intimacy the array of dining options that have been able to conjure is simply incredible. With four a la carte restaurants, guests need not worry about the culinary choices available to them whilst on the island. 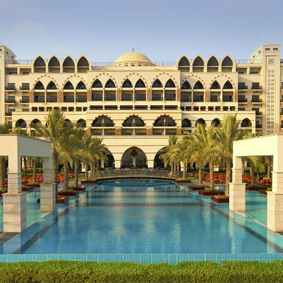 Jumeirah Zabeel Saray is sure to fit anyone’s idea of a perfect beach resort and Dubai holiday, with its ideal location, its spectacular views of the Arabian Gulf and its truly superlative facilities. Offering elegantly appointed rooms, suites and Royal Residences, not to mention access to a pristine swath of private beach and an 8000sqm boutique spa, this 5 star hotel oozes luxury, splendour and comfort. Kids are guaranteed to love the brand new Sinbad’s Kids Club while grown-ups can take full advantage of the excellent wining and dining opportunities and 3 vibrant nightlife venues. You can also enjoy splendid service and the traditional warmth and generosity of Arabian hospitality. The hotel was inspired by the imperial Ottoman palaces of yesteryear and when you come for a vacation you will get nothing less than the royal treatment.